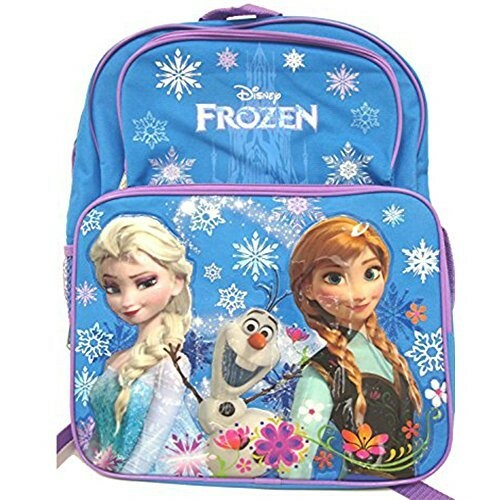 Anna, Elsa, and Olaf together again — on a fun licensed backpack! This sturdy backpack is 16 by 12 inches and includes a large front pocket for easier organization. Two side pockets are included, one mesh pocket for water bottles and one slide pocket. Fans of Frozen are sure to love this one! For more products featuring characters from this popular film, visit our Frozen Collection.